Our Tuesday Fellowship is using a brand new resource for use within congregations that aims to help followers of Jesus reflect on and live out the essentials of discipleship. Essentials is a practical Discipleship Resource that has been developed specifically for the context of the Presbyterian Church in Ireland, drawing on a wide collection of voices, insights, teaching and testimonies from right across our denomination. Each session will unpack how it is essential for disciples to come to Jesus, respond to His call, share in community, take their place in culture, reflect His courage, accept the cost, take up His challenge and continue with Christ. Join us on Tuesday evenings as we walk through the journey of discipleship by drawing on passages from the life and ministry of Jesus, right from the call of the first disciples to their commissioning into his mission. 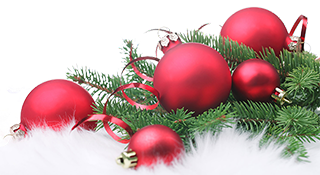 Sunday 24th December at 4.00pm in the Church Meetinghouse, followed by tea and mince pies in the Church Hall. A special offering for the Presbyterian Children's Society will be collected at this service. Monday 25th December at 10.30am. A special offering for the PCI World Development Appeal will be collected at this service. Information about this year's appeal, 'A beautiful idea: Women's voices in fragile states', can be found on the PCI website. 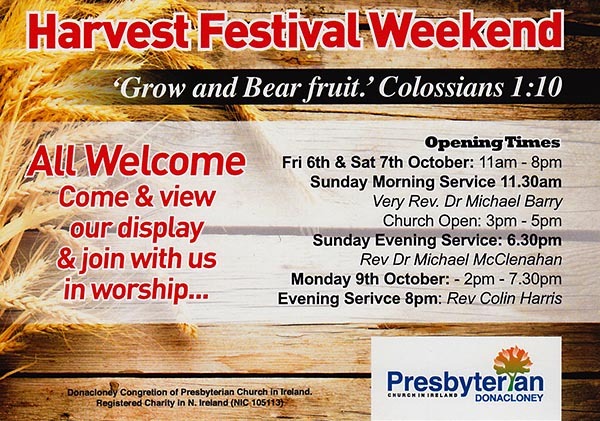 We will be having our annual autumn fellowship weeked here from Friday 3rd to Sunday 5th November (d.v.). Over the course of the weekend we will be focussing on Luke 4:14-30, where Jesus proclaimed, "the year of the Lord's favour". The sacrament of the communion of the Lord's Supper will be celebrated at the end of the morning service on Sunday. Plan to come along and share in these times of fellowship around God's Word. Do note the times of prayer also! Click here to view the displays.